At a rundown desert motel, lonely Agnes begins a tentative relationship with a newcomer named Peter. He has a strange charisma, one that offers fearful and unstable Agnes a flicker of hope. Tension mounts as mysterious strangers appear at their door, past events haunt them at every turn and they are attacked by real bugs. 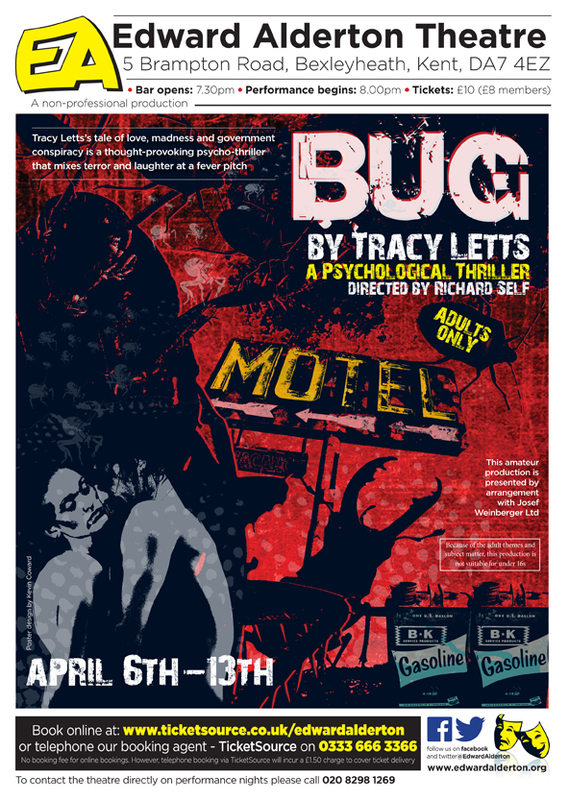 Tracy Letts’s tale of love, madness and government conspiracy is a thought-provoking psycho-thriller that mixes terror and laughter at a fever pitch.